Zhiqi Huang obtained his BSc and PhD degree in chemical engineering from Tianjin University in 2011 and 2017, respectively, under the guidance of Prof. Jinlong Gong. From 2012 to 2015, he is a joint PhD student in Prof. Zhihong Nie’s group at the University of Maryland, College Park (UMCP). He is currently a Postdoctoral Fellow at Nanyang Technological University with Prof. Hua Zhang. His research focuses on the synthesis and photo-/electro-catalytic applications of multicomponent nanomaterials. Zhihong Nie received his PhD degree in chemistry from the University of Toronto and worked as a NSERC Postdoctoral Fellow with Prof. George M. Whitesides at Harvard University. He is currently a Distinguished Professor in the Department of Macromolecular Science at Fudan University. Before that, he was an Associate Professor with tenure in the Department of Chemistry and Biochemistry at UMCP. He is the recipient of 3M Non-tenured Faculty Award, ACS PRF Doctoral New Investigator Award, NSF CAREER Award, etc. His research interests include molecular and nanoparticle self-assembly, biomedical imaging and delivery, programmable soft materials, and microfluidics. Jinlong Gong received his BSc and MSc degrees in chemical engineering from Tianjin University and his PhD degree from the University of Texas at Austin under the guidance of C. B. Mullins. After a stint with Prof. George M. Whitesides as a postdoctoral fellow at Harvard University, he joined the Faculty of Chemical Engineering at Tianjin University, where he currently holds a Cheung Kong Chair Professorship. He has served on the editorial boards for several journals including Chemical Society Reviews, Chemical Science, and AIChE Journal. He also serves as an Associate Editor for ACS Sustainable Chemistry & Engineering. He is an elected Fellow of the Royal Society of Chemistry. He has published more than 200 peer-refereed papers and has been listed as a co-inventor on 73 patents and applications. His research interests include the catalytic conversions of green energy, utilization of carbon oxides, and synthesis and applications of nanostructured materials. 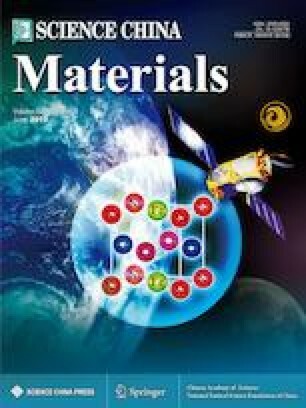 Supplementary material is available for this article at https://doi.org/10.1007/s40843-019-9420-8 and is accessible for authorized users. 模板法是可控合成复合纳米材料的一种重要手段. 然而, 纳米材料在模板, 尤其是复合模板上的选择性生长仍面临巨大挑战. 本文以自组装聚乙烯-金纳米颗粒一维复合纳米链为软-硬复合模板, 实现金属在该模板上可控地选择性沉积、生长. 通过选择恰当的表面活性剂来调节金属生长的热力学, 金属可以选择性地生长在金纳米颗粒的表面, 得到金属间歇包覆的复合纳米链; 也可以同时包覆在聚乙烯和金纳米颗粒的表面, 得到金属完全包覆的豌豆荚状复合纳米链. 不同的包覆方式和包覆材料选择都会导致材料光学性质的变化. 时间差分有限元模拟表明, 金包覆的豌豆荚状复合纳米链的表面金壳层和内部金纳米颗粒之间存在极强的表面等离子体耦合作用. 在表面增强拉曼实验中, 该复合纳米链表现出很强的增强信号. This work was financially supported by the National Natural Science Foundation of China (21525626), the Program of Introducing Talents of Discipline to Universities (B06006), the Program for Professor of Special Appointment (Eastern Scholar) at Shanghai Institutions of Higher Learning, and the Startup Fund from Fudan University.